U.S. citizens may ask the United States Citizenship and Immigration Services (USCIS) to allow a fiancé(e) to come to the U.S. to be married. The process begins by filing a petition at the appropriate USCIS Service Center. Upon approval, your petition will be assigned to the American Consulate General or Embassy or Consulate in your fiancé(e)’s home country and he or she will apply for a K-1 visa, enter the U.S., conclude the qualifying marriage within 90 days of admission, adjust status to lawful permanent residence at the appropriate USCIS District Field Office, and receive a green card. Unmarried children under the age of 21 may travel to the U.S. with his or her fiancé(e) parent and also receive status as a permanent resident. 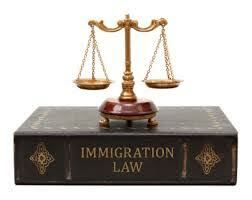 Get in touch with us today to learn more about the filing process and your immigration rights. in the U.S.? Also, how does she emigrate to the U.S. after we are married? I consistently recommend marriage in the U.S. if your personal circumstances and those of your fiancée permit. In order for your fiancée to come here for marriage, you must file a petition with the appropriate United States Citizenship and Immigration Services (USCIS) Service Center so that your approved petition may be assigned to the American Consulate General or Embassy in your fiancée’s home country. Your fiancée may thereafter apply for a K-1 visa, enter the U.S., conclude your marriage within 90 days of entry, adjust status to lawful permanent residence, and receive a green card. If you are married in your fiancée’s home country, your wife may not accompany you upon your return to the U.S. until you file an immediate relative petition with the USCIS. You must then decide if you will remain with your wife in her home country while USCIS processes and approves your petition or if you will pursue K-3 classification for her pending adjudication. If you don’t pursue K-3 classification and return to the U.S. without her, you must also decide if you will thereafter return to her home country if you are required to appear with her at the American Consulate General or Embassy or Consulate for an immigrant visa interview. Although expediency has often been the greatest advantage of marriage in the U.S., processing a spouse to come to the U.S. may actually be just as efficient. In that case, your wife could be admitted in the K-3 classification and be allowed to remain in the U.S. while her petition and adjustment of status is being processed.